NVIDIA’s next generation Maxwell core architecture based GeForce GTX 880, GeForce GTX 870 and GeForce GTX 860 will launch in October this year, as reported by GDM.OR.JP. The site which is part of one of the most major hardware retailers in Japan have been pretty accurate with their earlier leaks so we will assume that the October launch time-frame is quite accurate considering the launch was planned for Q4 2014 was narrowed down to October / November a few weeks ago and now we have a much more accurate schedule of NVIDIA’s Maxwell GPU launches. The first two Maxwell cards to launch in the consumer market would be the high-performance GeForce GTX 880 and GeForce GTX 870. These cards will feature the GM204 core architecture which is the successor of the GK104/GK114 core from the Kepler generation. From little things we know thanks to the leaked PCB shot of NVIDIA’s alleged GeForce GTX 880 graphics card, we come to know that the core being used for the sample variant was GM204-INT41684-A1 however there has been a little variation in the codename and it is now called GM204-CS0-A1 (note that the CS stands for Consumer Sample) which means that final testing is under way and the chip will soon end up in the consumer market as the GeForce GTX 880. The chip is also the first of four variants which will make their way to the rest of the lineup including the GeForce GTX 870. The GeForce GTX 870 on the other hand will be a cut down variant of the GK204 core featured on GeForce GTX 880 with some disabled SMM (Streaming Multiprocessor Maxwell) units. Its not know what specifications does the GM204 hold in general but it does feature a die size larger than its predecessor which is due to the existing 28nm process technology and the card will make use of high-frequency SKHynix H5GQ4H24MFR 0.5G clocked at 7 GHz. We will most probably be looking at a 256-bit since the memory arrangement as seen on the ES board is similar to the GeForce GTX 680 ES board and the final consumer variant. The card was shown with 8 GB GDDR5 memory which is a lot of VRAM for a reference card but we believe that the cards will ship in 4 GB variants. Aside from that, the total power consumption would be similar to Kepler around 195W but it will deliver performance on scale with some of the overclocked GeForce GTX 780 Ti’s we have seen. If the recent GeForce GTX 880 benchmark is taken for reference, we might be looking at a 20-30% performance uplift from Maxwell over GK110 which is insane and makes us wonder the performance uplift with the GM200 core which won’t ship to consumers till next year. The GeForce GTX 880 and GeForce GTX 870 will launch close to each other in early October as was the case with GeForce GTX 780 and GeForce GTX 770 which were introduced in a week’s difference of each other. The prices expected for these cards would be $499 for GeForce GTX 880 and $399 for GeForce GTX 870. The one thing that disappoints me the most is that we may not see the upcoming cards on the new 20nm node but rather the existing 28nm node. Now I am not saying that the cards won’t perform well and NVIDIA has already demonstrated that Maxwell, even on 28nm could be a major deal breaker in power efficiency as seen with their sub-70W GTX 750 Ti and GTX 750 cards. But it would have been really nice to see new 20nm cards in 2014 by AMD and NVIDIA. But now, we can expect a quick replacement for the current cards in 2015 as indicated by several sources on the 20nm process. 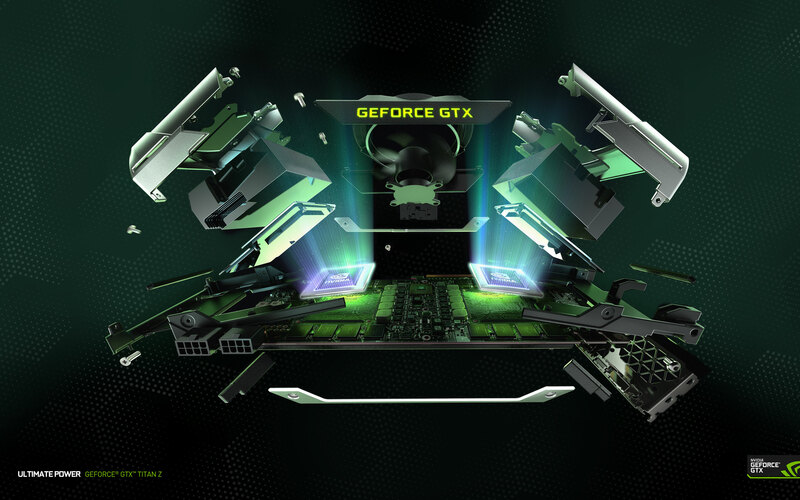 Soon after launch, NVIDIA is expected to launch a third Maxwell graphics card aiming the more budget and gaming crowd, known as the GeForce GTX 860. The spiritual successor of NVIDIA’s most sold GeForce GTX 660 and GTX 760 graphics cards is said to enter the market in late October at a price point of around $299 US. Specifications and details are not known about this part but if the SKUs rumor is taken into consideration, then the GeForce GTX 860 might also end up with the GM204 core rather the GM206 core which is believed to end up with GTX 850 Ti and such parts. The rest of the lineup would be a mix of GM107 and GK208 chips. NVIDIA will not introduce a new low-end chip for a long time and hence they have chosen to rename their entry-level GK108 chip, GK208. Process 40nm 40nm 28nm 28nm 28nm 28nm? Power Connectors 8+6 Pin 8+6 Pin 6+6 Pin 8+6 Pin 8+6 Pin 6+6 Pin?